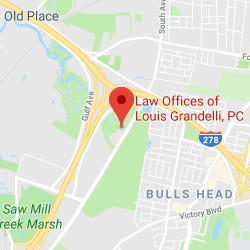 Rear End Accident Lawyers | Law Offices of Louis Grandelli, P.C. Often times, a car is struck in the rear due to the fact that the car behind them was following too closely or “tailgating”. On other occasions, rear end accidents occur because a driver was talking on their cell phone, texting or distracted for some other reason. The New York Vehicle and Traffic Law requires drivers to maintain a safe distance between their car and the car in front of them. (See New York Vehicle and Traffic Law Section 1129). In fact, under New York law, when a car is struck in the rear, there is a presumption of negligence on the offending vehicle. The liability of the car which strikes another car in the rear is especially clear when the innocent victim is stopped in traffic, at a red light or behind another vehicle. In addition, since the occupant of the car which is stopped often does not have any warning of the accident, they do not have the opportunity to “brace” themselves for the impact, often resulting in severe injuries. Indeed, occasionally even low speed rear end accidents can cause serious injuries requiring surgery to the spine, or limb joints such as ankles, knees, elbows or shoulders. 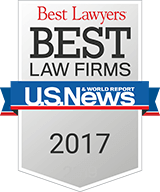 The well established case law in New York provides that the liability of the car which strikes you in the rear can often be established prior to the trial by having an experienced attorney who will move for summary judgment either before or after depositions depending on the facts of the case. In these cases, our firm demonstrates that the negligence of the car which struck you from behind is so clear, that the Court should determine negligence as a mater of law. We have obtained numerous decisions on behalf of our client’s where they have been awarded summary judgment by the Court in rear end collisions. 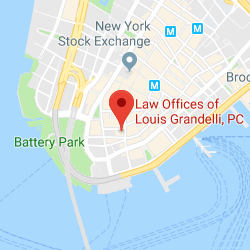 In these instances, New York law permits our client to receive statutory interest of 9% from the time judgment is entered on any future damages verdict at trial which we often use as leverage in negotiating a favorable settlement. Our rear end accident lawyers also have extensive experience at the Appellate level of demonstrating the liability of the car which struck our client in the rear. We are proud to say that in 2013, our firm reported the highest recovery for a rear-end car accident in New York State as published in Verdict Search. 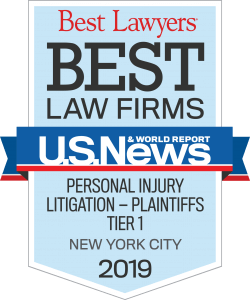 In that case, our rear end accident lawyers recovered $2.75 million dollars on behalf of a Long Island man, who was driving to work, when his vehicle was struck in the rear, causing the plaintiff to become paralyzed. This case was resolved in a little over 1 year as we moved for summary judgment a short time after commencing the lawsuit and established the defendant’s liability. This enabled us to resolve the case for the entire amount of insurance coverage available. If you or a loved one has been injured, contact us. Our rear end accident lawyers will give your case the individual attention it deserves.